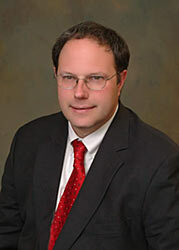 Sandy Shriver, a partner, has been practicing with Phillips, Dunn, Shriver & Carroll, P.C. since August 1995. He focuses on business and real estate transactions, creditor’s rights, collections, and civil litigation. Mr. Shriver has been active in the Vermont Bar Association Young Lawyers Division, and has served on the Vermont Bar Association Board of Directors and the Board of Directors of the Vermont Bar Foundation. Currently, he serves on the Vermont Bar Association Title Standards Committee and the Vermont Bar Foundation Grants Committee. Sandy lives in Brattleboro, Vermont and is an active member of the Brattleboro Sunrise Rotary Club. He has served as a Brattleboro Town Meeting Representative, as the Secretary of the Brattleboro Area Habitat for Humanity and the Treasurer of the Windham County Democratic Committee. Sandy ran for the Vermont Legislature in 2000 and served as a member of the Brattleboro Union High School Board of Directors in 2001 and 2002. He was also the past President of the Windham County Humane Society and served on the Board of the New England Youth Theatre. Sandy’s work experience during law school included employment with the Vermont Supreme Court and the South Royalton Legal Clinic. Prior to law school, he worked in the Washington, D. C. office of Faegre & Benson as a Legislative Assistant. Sandy also served as a Field Director for a Virginia State Legislative campaign. Sandy graduated from Oberlin College in 1989. Following graduation, Sandy served on the Oberlin College Board of Trustees as a Young Alumni Representative. Sandy grew up in Villanova, Pennsylvania. You can contact Sandy Shriver via email: Email Sandy Shriver.